With our affordable Impact Indicator Label, alert carriers to be careful in handling a package. This Purple Shock Indicator Label has a sensitivity of 37G at 50 msec. • Apply the label on the upper right corner of the shipment that is 0.3-0.6 m from floor. For items with length twice the width, use two labels, on opposite sides of the to each other. • Purple label is great for pallet shipment, heavy furniture, copiers, printers, auto parts, and more. 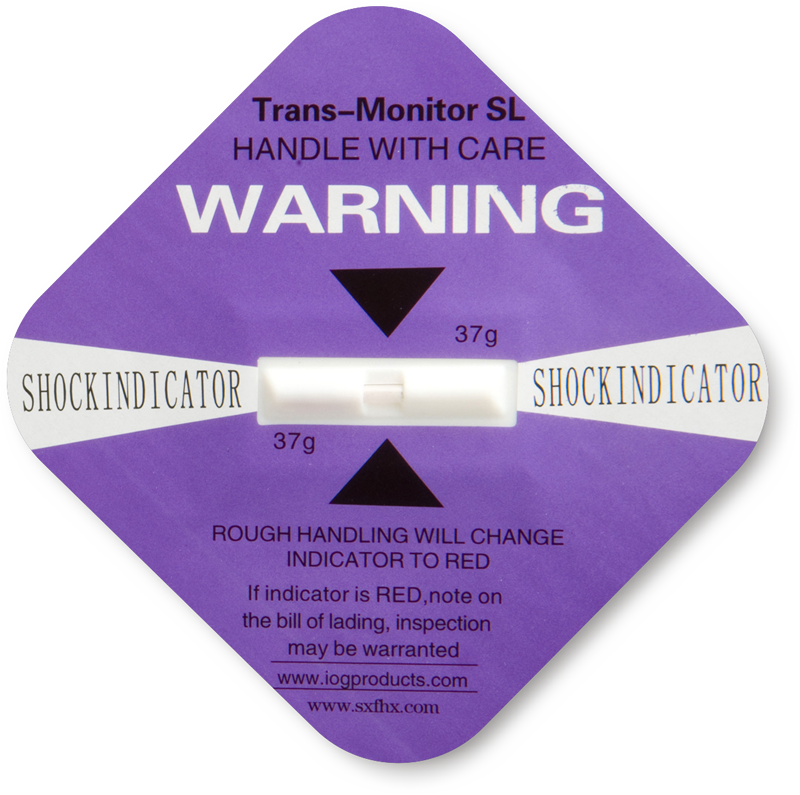 • Order with Shock Indicator Companion Labels that explain the function of indicator labels in more detail.